Are you the owner of a store, restaurant or office space that has an attached parking lot out front? If so, did you know that, according to the American’s with Disabilities Act of 2010, new or improved parking lots must have at least one handicap accessible parking spot per every 25 spots. That means, for those of you that have larger lots out front, accessible parking spots will likely fill out your storefront. And with more handicap spots, the chances of a storefront crash happening can increase quite a bit. According to the U.S. Census Bureau, 37% of adults 65 years and older have disabilities. 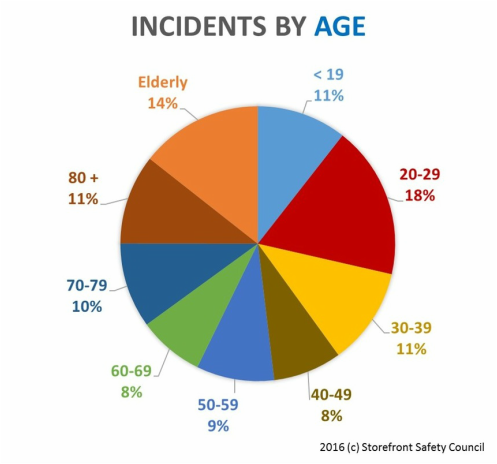 But that’s only relevant when you add in StorefrontCrashExpert’s statistical breakdown of reported crashes by age group which shows that 39% of all storefront crashes are done by adults 65 years and older. To go along with those numbers, according to StorefrontCrashExpert, 56% of all storefront crashes are caused by pedal and operator error. That means the accident happens in short, quick bursts, while pulling into storefront parking spots, which is where most, if not all, of your handicap accessible parking spots will be located. After the fatal accident outside of Farrell’s Ice Cream Parlour, Michael Fleming, CEO of Palour Enterprises Inc., told the Orange County Registry that he thinks the (at the time) proposed California state law to “encourage” commercial-building owners to install protection between the parking lot and building is “the right thing to do” but doesn’t believe it’s enough. He followed through with that sentiment by quickly installing 14 bollard posts outside of the Buena Vista location just days after the accident, telling the OCR that it cost for around $8,000. Not very expensive to protect a commercial building and its patrons, huh? Not to mention the amount of insurance money it’ll potentially save the business moving forward. So, here’s the question: as an owner, are you ready to properly protect your building from possible storefront crashes? 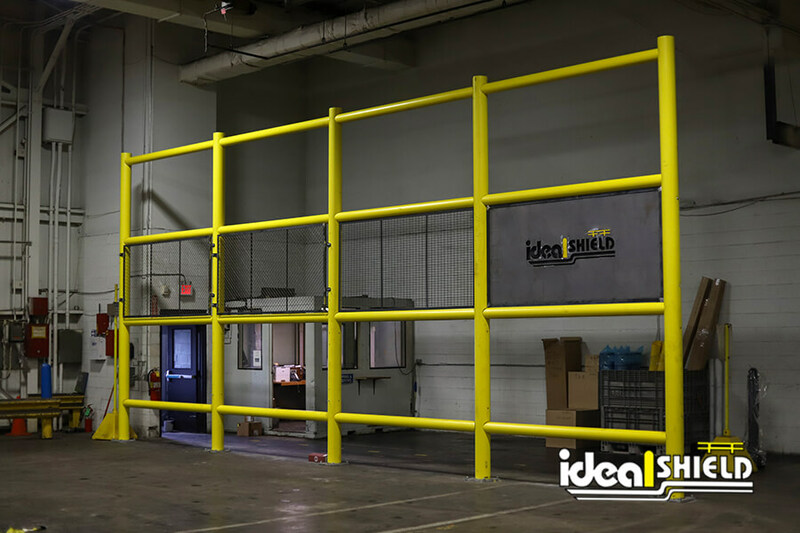 If so, we here at Ideal Shield have the protective barriers that will help you keep your storefront and customers more protected while also helping make your parking lot ADA compliant. Our bollard sign systems are the perfect product to help improve storefront protection while also improving the visual appeal of any building and/or parking lot. 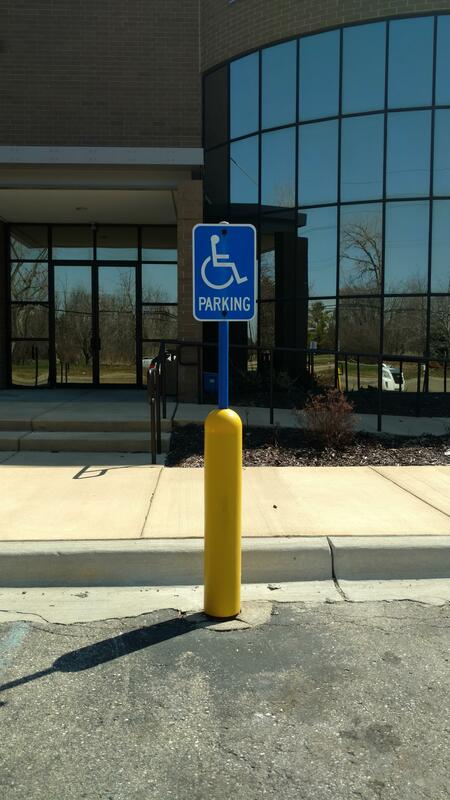 And did we mention that our bollard posts and covers are the strongest in the industry? On top of the reliability and strength, our bollard sign systems and bollard covers, especially, are maintenance-free products. That means you’ll never have to worry about painting the product because of fading, cracking, chipping or peeling. According to the co-founder of the Storefront Safety Council, Rob Reiter, there are 60 vehicle-into-building crashes a day in this country. So, if you’re a business owner or building owner looking to improve storefront protection and customer safety while also saving money on potential damage costs, legal costs, insurance costs and even painting costs, make sure to contact us at Ideal Shield today to hear more about our bollard sign systems before it’s too late.